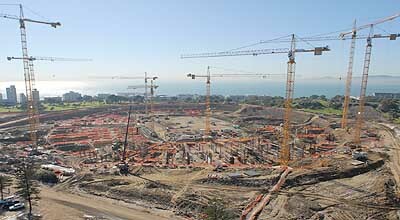 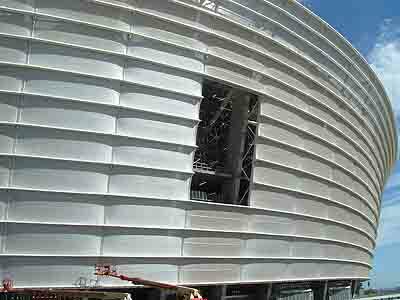 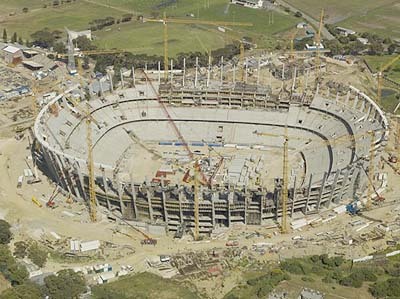 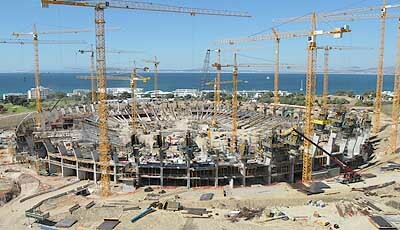 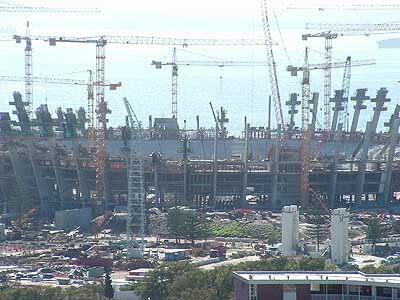 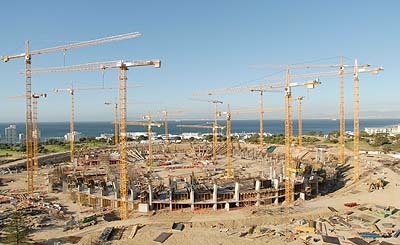 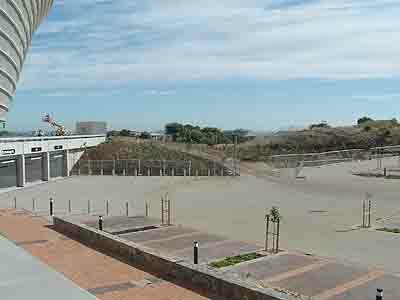 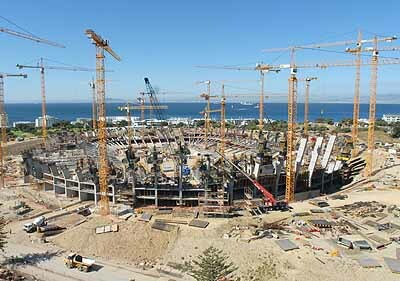 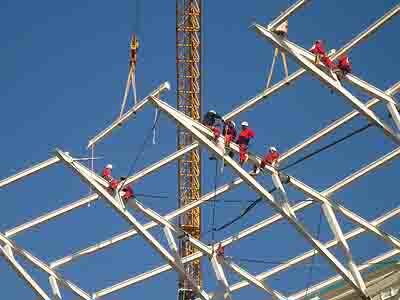 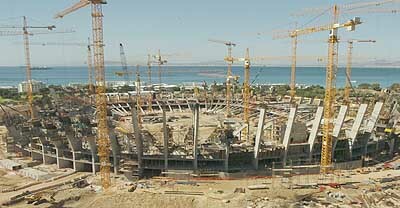 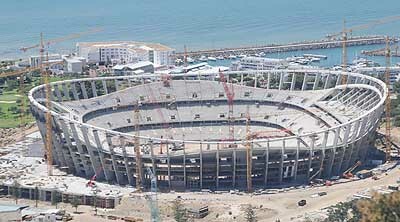 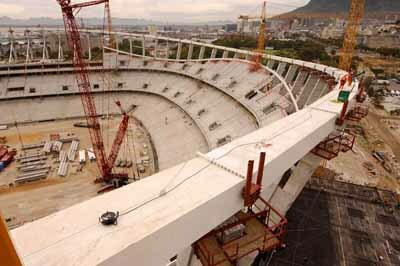 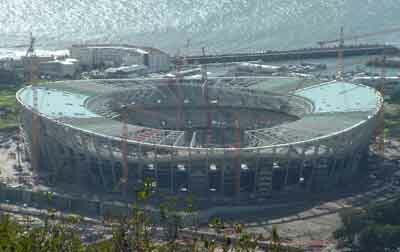 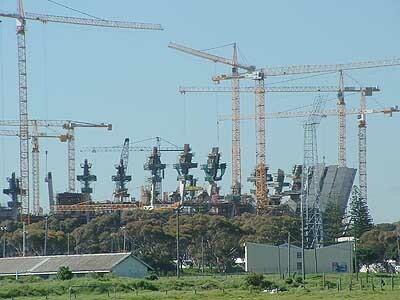 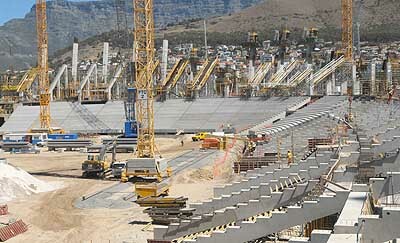 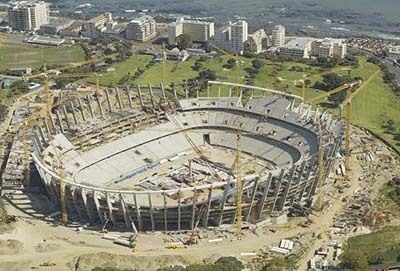 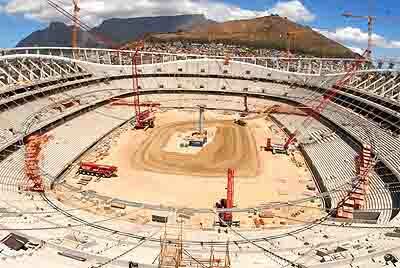 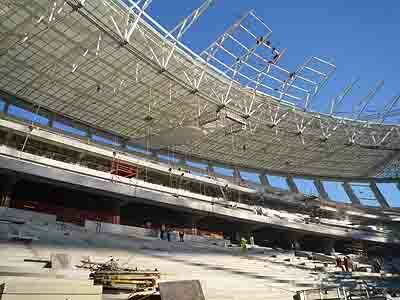 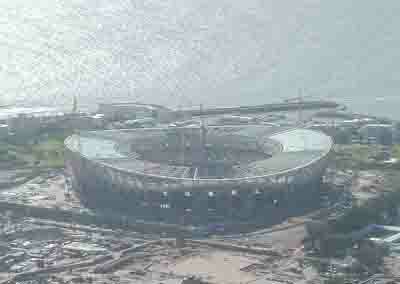 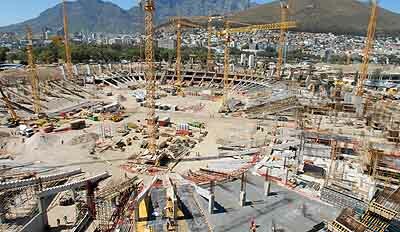 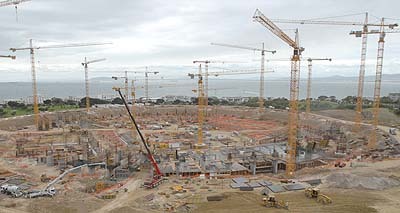 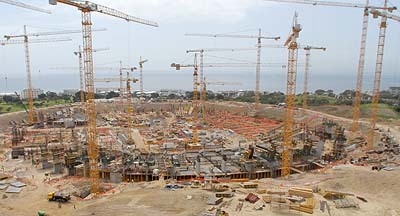 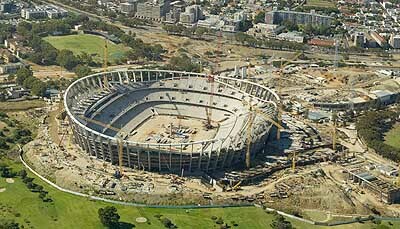 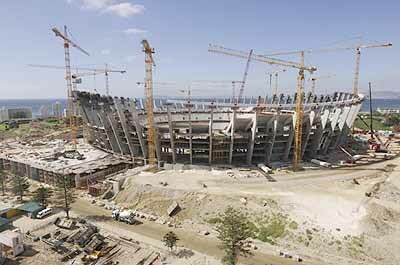 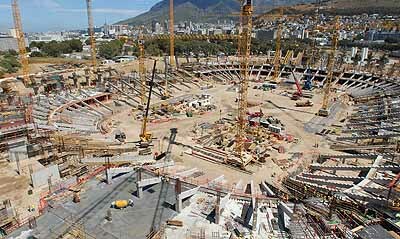 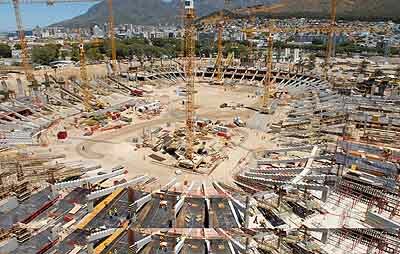 Follow the progress of the Cape Town Stadium as it was built. 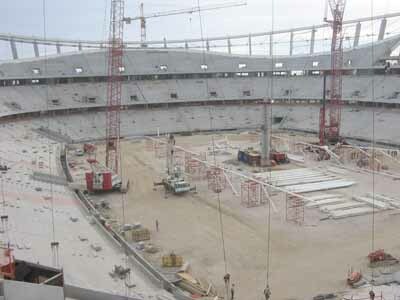 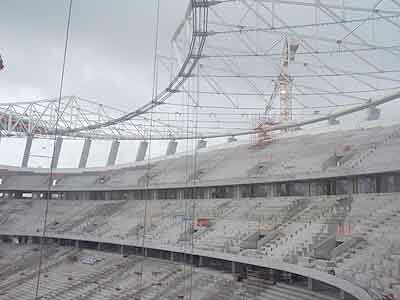 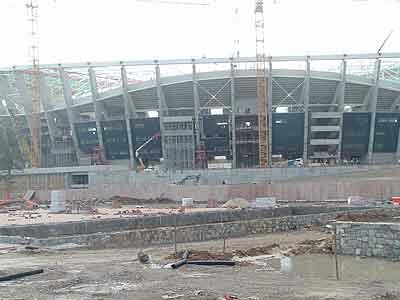 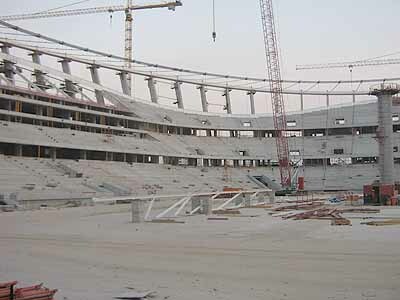 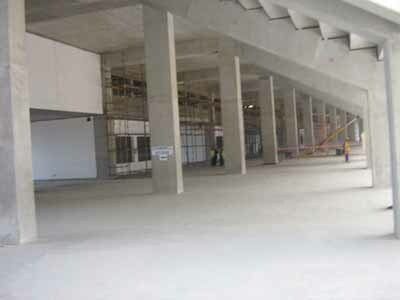 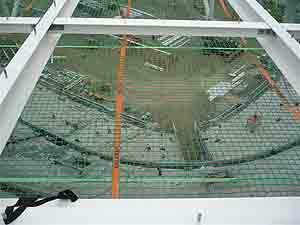 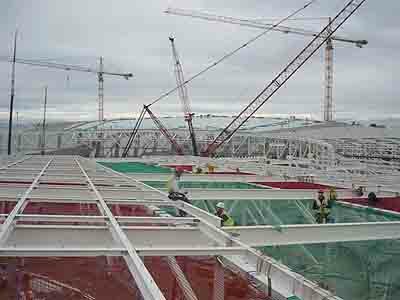 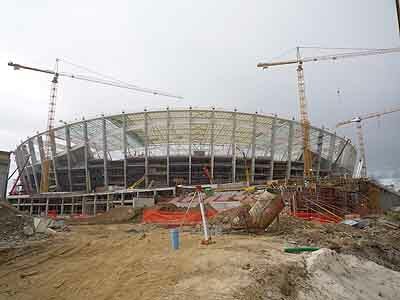 Below is a series of photographs of the progress over the three years it took to complete the stadium. 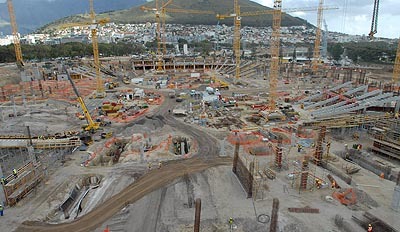 On Tuesday the 16th of March 2010 I decided to take a tour of the Cape Town stadium. 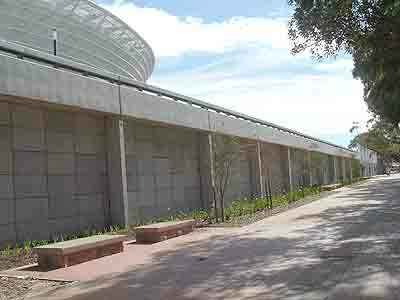 Tours start at 10.00 am and last about an hour. 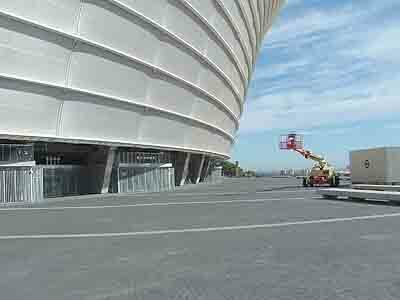 I arrived just before 10.00am thinking that there would be few people wanting to do the tour. 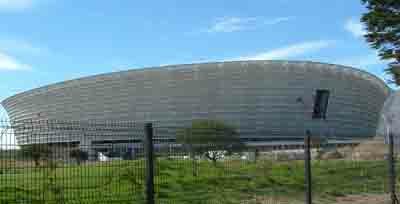 There were two groups of school kids and a couple of busloads of tourists all wanting to do the tour. 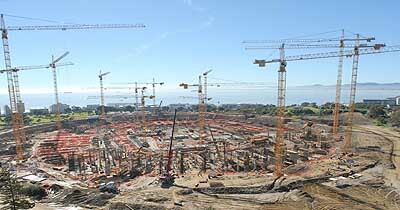 Both the 10.00am tour and the 12.00 o'clock tour were fully booked so all I could do was take some photos from the outside of the stadium and leave. 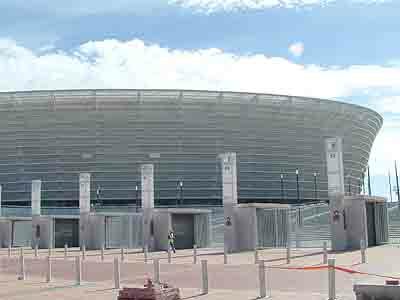 For those wanting to do a tour of the stadium the entrance is through the south side and you have to report to the visitors centre to get your ticket and join the tour. 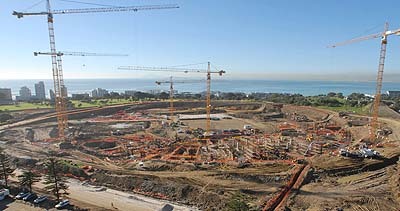 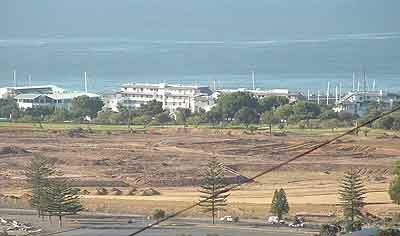 To find parking drive around the new raised circle and then drive down the south side of the stadium towards Granger Bay. 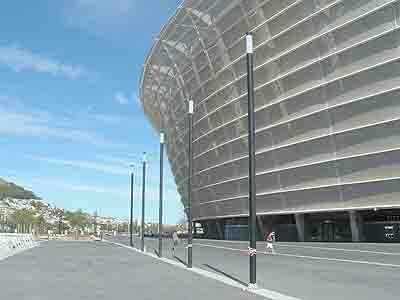 (Its a new road) There is some parking on the left near the entrance to stadium The visitors centre telephone number is 021 4307346 if you would like to contact them. 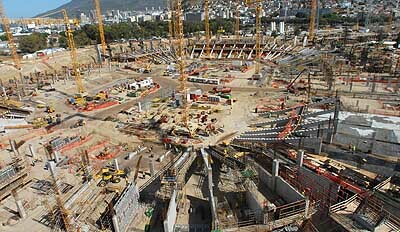 Below are some close up photos I took while at the stadium.